I am super excited to share with you today, my first Christmas card using the upcoming new Christmas collection from Pion Design called THE NIGHT BEFORE CHRISTMAS! 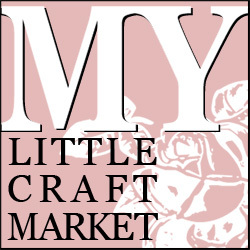 I was practically wiggling in my chair as I sifted through all the beautiful patterns and images, I just know you will love them as much as I do!! 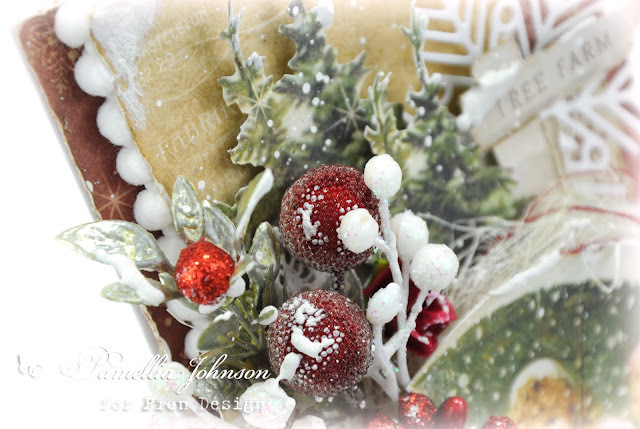 The snowflakes are Cheery Lynn, the white flower is from Wild Orchid Crafts and everything else is from my stash. STAGE ONE - location, location, location! I had to move a few things around, a log here, a rock there... I need good angles and predictable paths for the squirrels to follow, so I know where to aim the camera. Now, I just set out some treats on the logs and take my position. All I can do is wait. I used mostly my zoom lens for Stage One so I could get shots of their faces as they checked me out from the safety of the tall trees, and oh boy, did they ever check me out!! And a couple of downright cut-eye looks! I think I even saw a bat signal go up at one point! I spent three days in Stage One, and most of that time was spent sitting perfectly still and just watching. Throwing out the occasional treat and allowing them to grab and run. The best part of my location is that I have to walk past Squirrel Alley, so I get to have a quick visit with MISS CHRISSY on the way there! Back on the home front, we have MR SCRUFF grabbing a quick snack. KAREN is so gentle with me. I love how she puts her paws right in my hand when she eats. And JUNIOR is having a little nibble before he heads out for the night. Isn't he handsome! 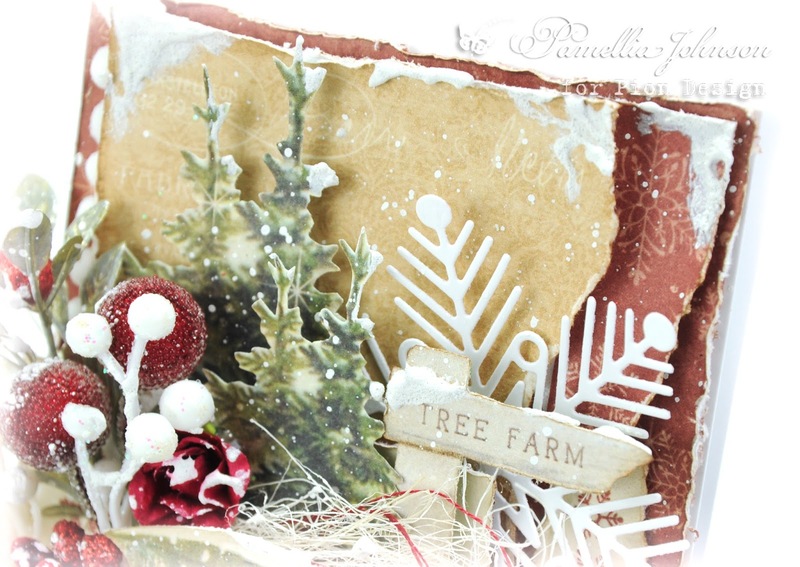 Very beautiful with all those snowy accents Pamellia. 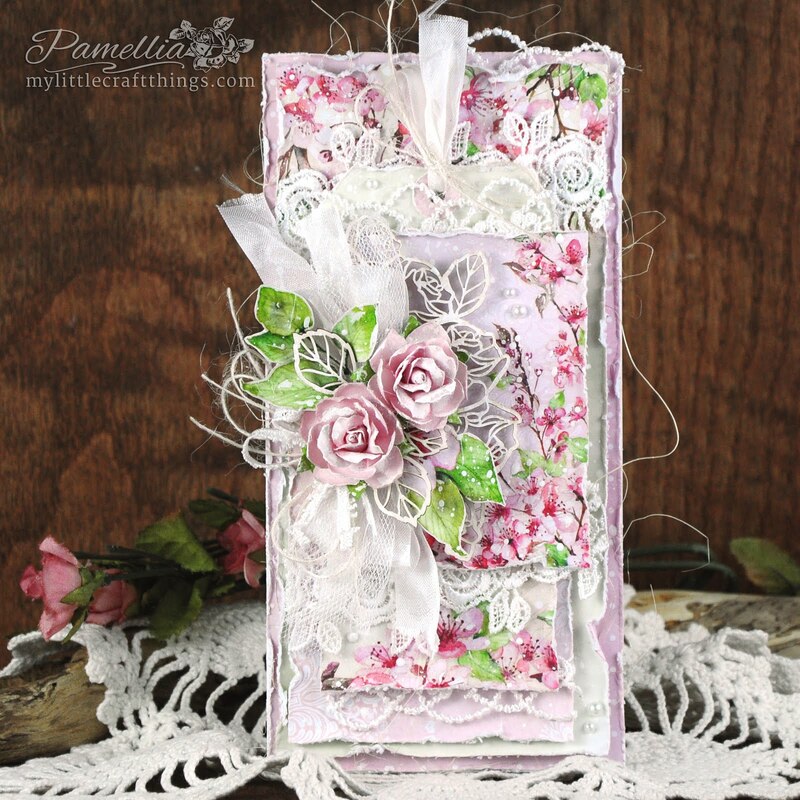 What a fabulous card Pamellia - love the colours and the composition with all those layers and that 'snow'! Your photos are wonderful - as ever. Great work on setting up your site and then spending three days waiting!! Stunning card with the layers even better than ever. 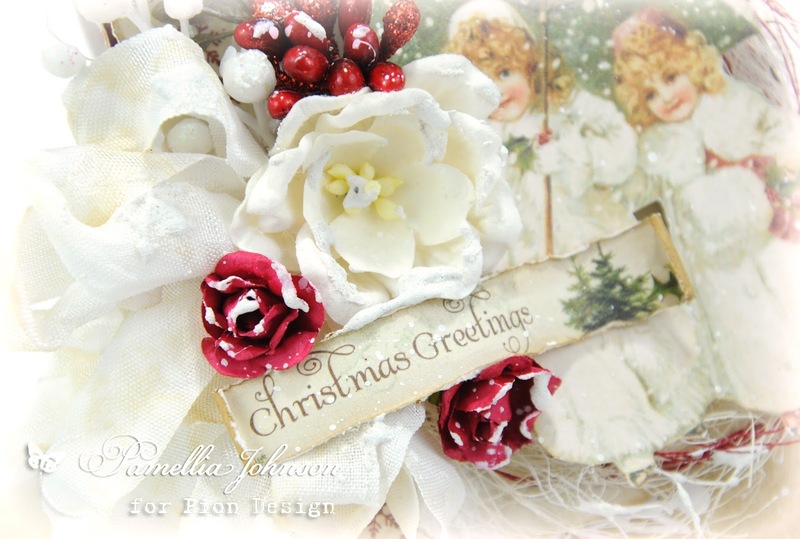 I adore the Christmas Greeting curved over the top of something beautiful, The papers and images look terrific. 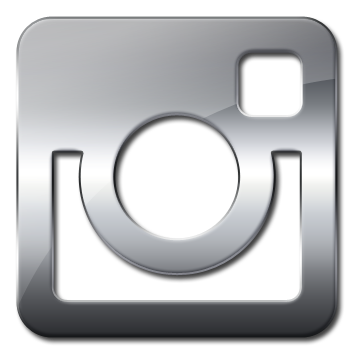 Have a great week enjoying your pics. A beautiful festive creation, love the traditional colours and the sweet vintage image and of course all those scrumptious layers and embellishments. 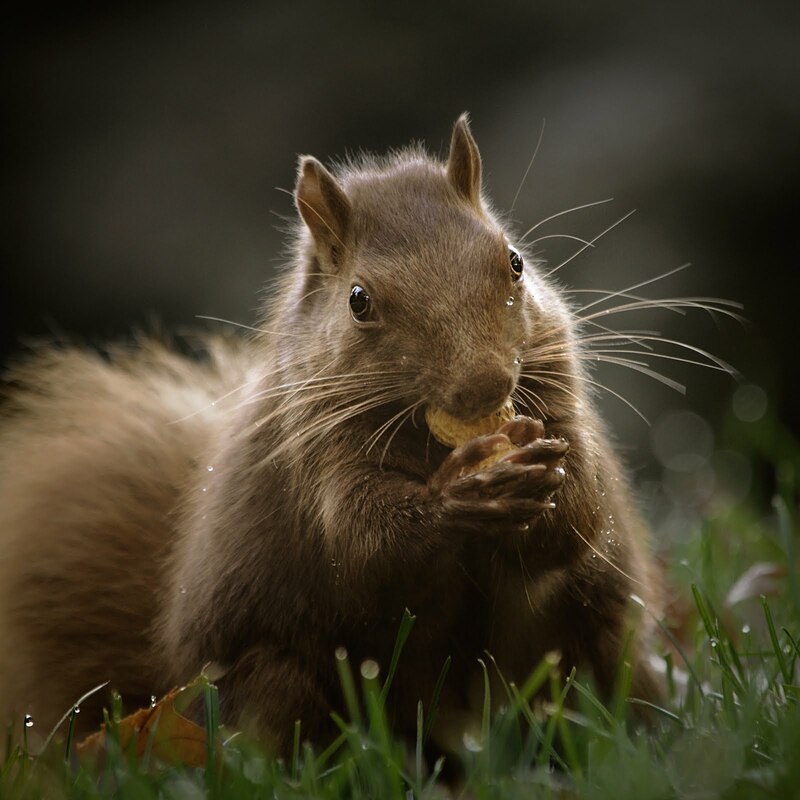 So impressed with your patience Pamellia, finding the right location, setting up the 'scene' and just sitting...sitting and waiting for the squirrels! 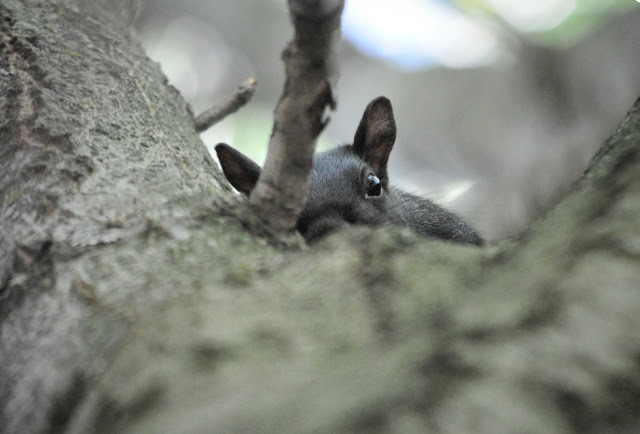 Paid off in the end though, those squirrel close ups are fabulous! Beautiful card and beautiful photos! 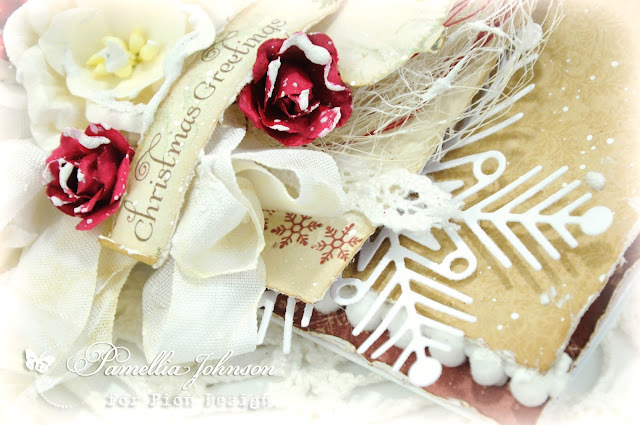 Stunning Christmas card Pamellia, so many gorgeous details and layers. Loved the photos and it's nice to see the 'family' doing well. Looking forward to the next stage of the photography process. 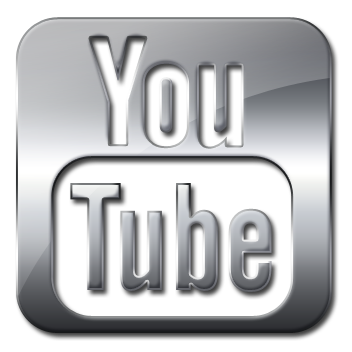 Off for a catch up as I have missed so much lately, why does real life have to get in the way of blogging! 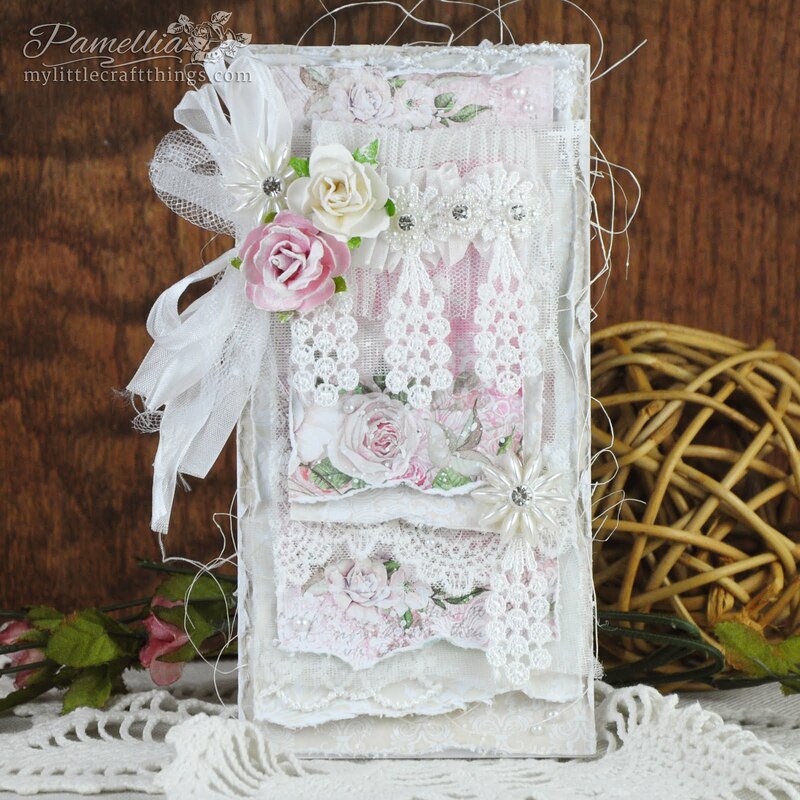 As always a lovely creation to feast our eyes on today Pamellia. 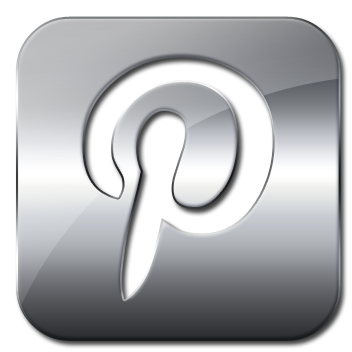 How wonderful to be a Pion designer! This card and the papers are so beautiful. 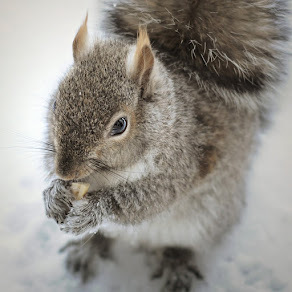 I love these squirrel photos. I want to go out and make friends with some now! 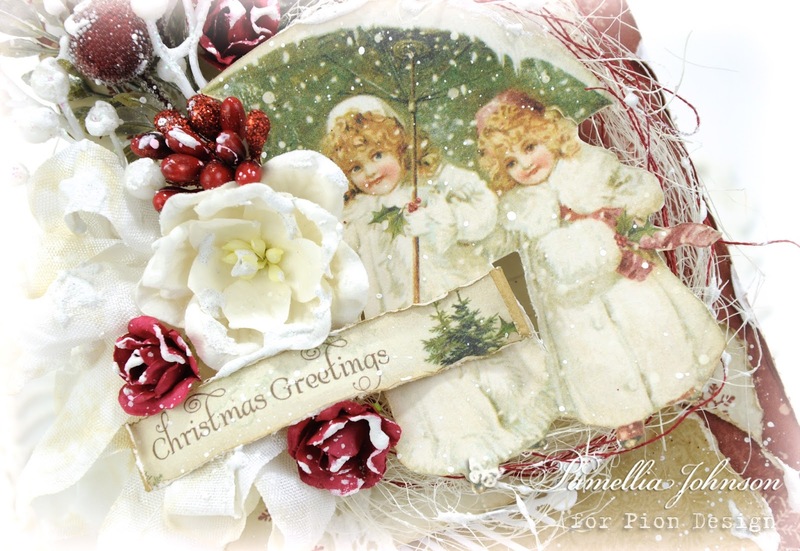 A stunning Christmas card, those papers and images are divine. 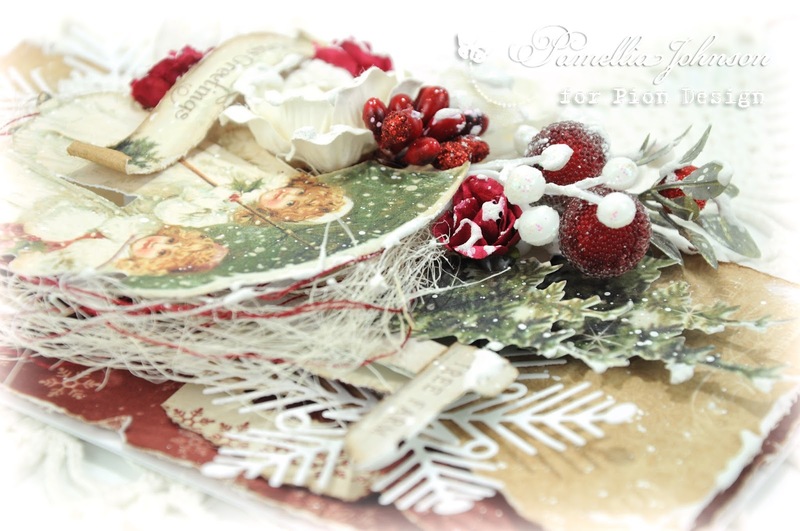 Hi Pamellia, amazing Christmas card with these gorgous papers! Your layers look always so well and your fussi-cuts...WOW!..such a breathtaking skill, you are so accurate!! You have choosen a beautiful vintage image, so sweet, and put in your card fabulous details! Love very much the sign near the trees- such a clever idea!- and those berries seem so yummy :D.
The wood near your home is sooo beautiful!! This would be my favourite place to walk :D You has been very patient, but it's the only way to respect the privacy of wild animals, very well done!!! And your waiting has been so productive, you have done fabulous shots!!! I smile looking at those fun and beautiful squirrels!! Love that Peek-a-Boo play!! :D :D So sweet ad cute!! Adorable little squirrels! The first one has a little cut on his (hers?)ear. 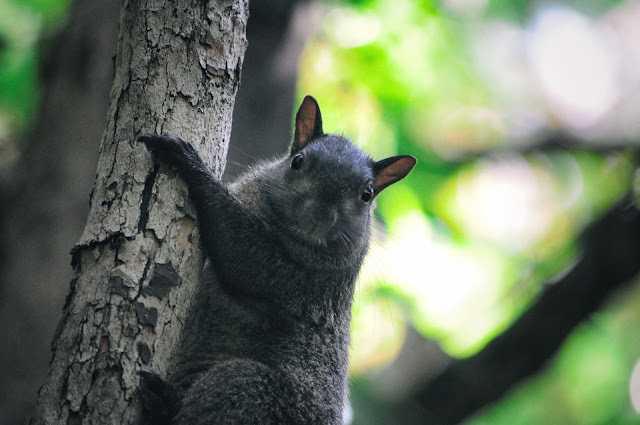 And your domestic squirrels are lovely as always. Karen is just adorable while puts her paws in your hand :) Such a sweetness! Need I say it? Absolutely stunning Christmas card. Just wow! Another fabulous Christmas card, you must be accumalting quite a pile now. 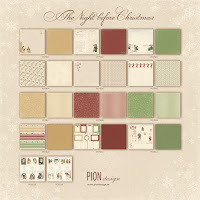 These new Pion papers look gorgeous, I am sure you will show us more as time passes. 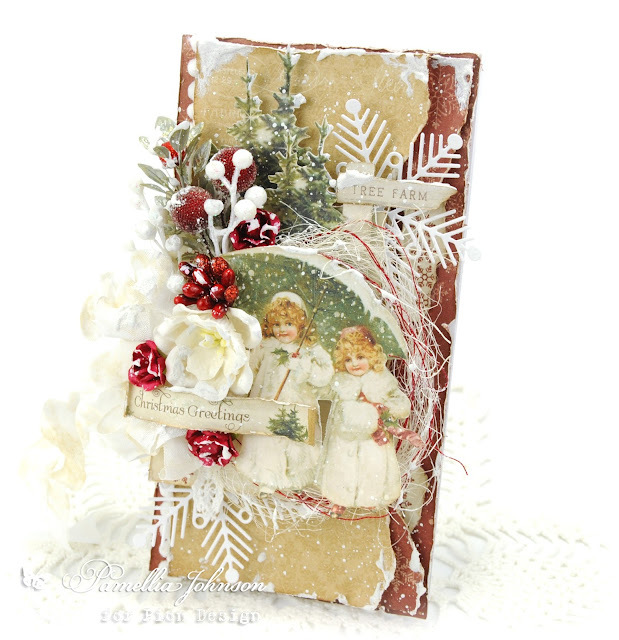 I particularly love the rich red embellishments and your stunning snowflake die. I am so impressed with your outdoor photographic studio and cannot wait to see the shots you get once the wildlife get use to you. Most of our wild life reserves have hides for the public to use, is there anything like that around you? 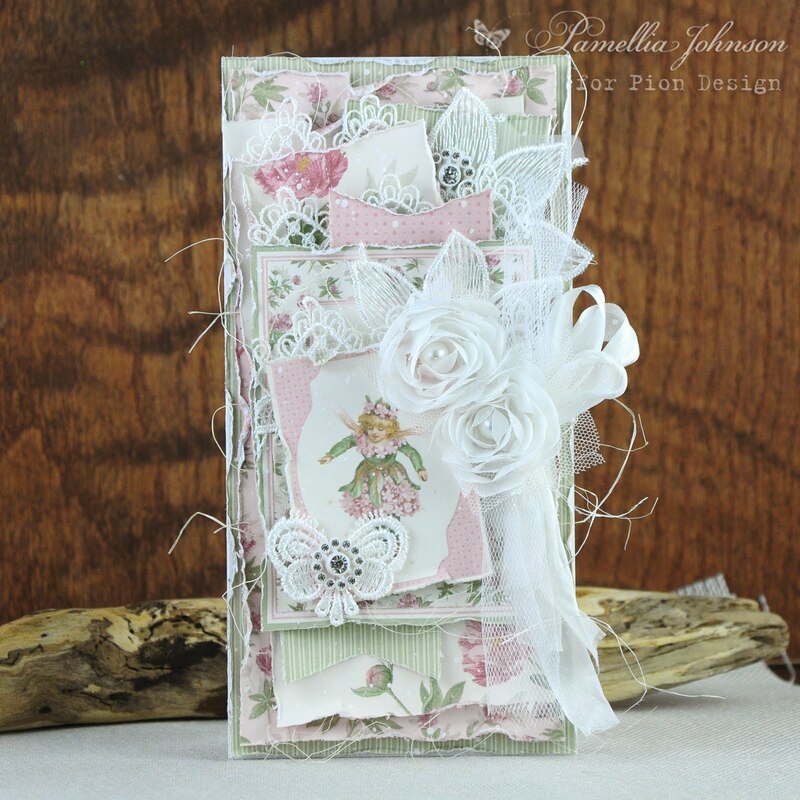 Its a gorgeous card and the lovely new papers, just seem to have your creative name on them. 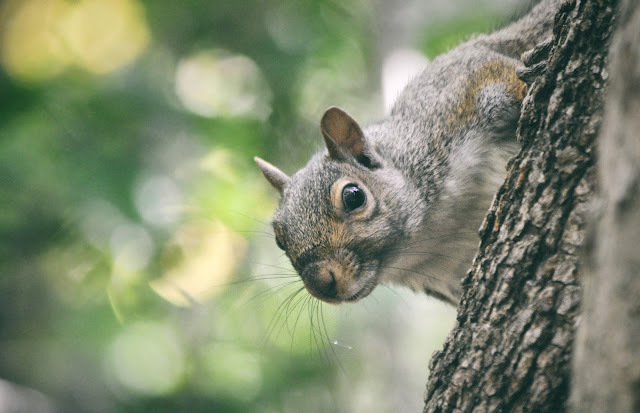 Love the idea of your outdoor squirrel studio. I think there will be some photographic treats in store for us in the coming days. 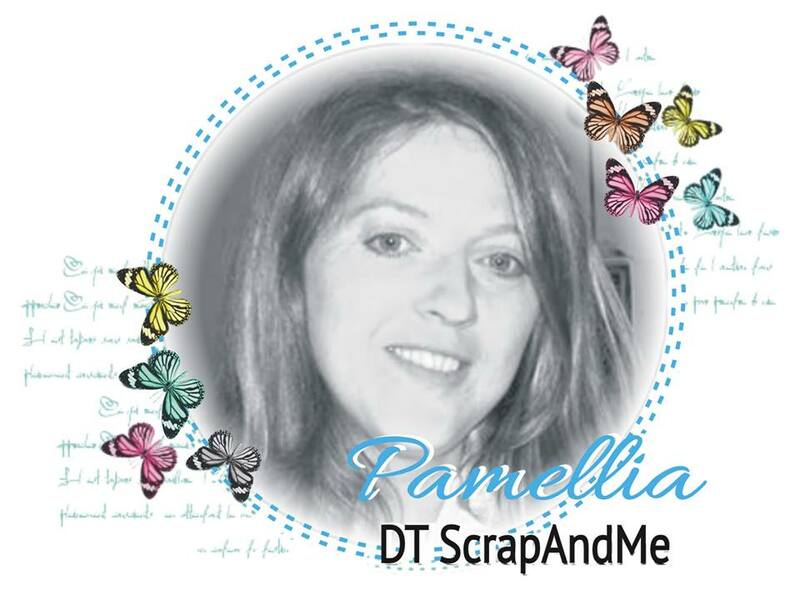 Amazing card Pamellia the design is fantastic with loads of detail, aww lovely pics of you fur babie. another superb card and such lovely details and items used. 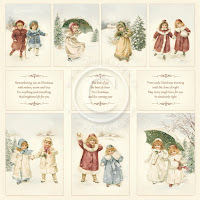 Those images are so vintage and very lovely, and they remind me of a very old card I have from when I was a child one which I gave my sisters, and had back when my mother passed away as she kept most things from when we were children, and lots more beside. 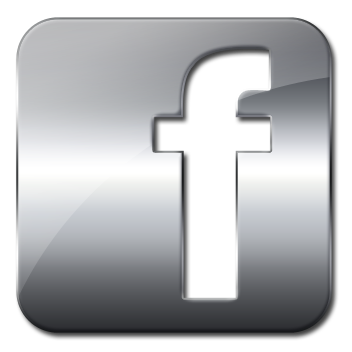 Super photos as usual, and lovely shots of your furry friends. 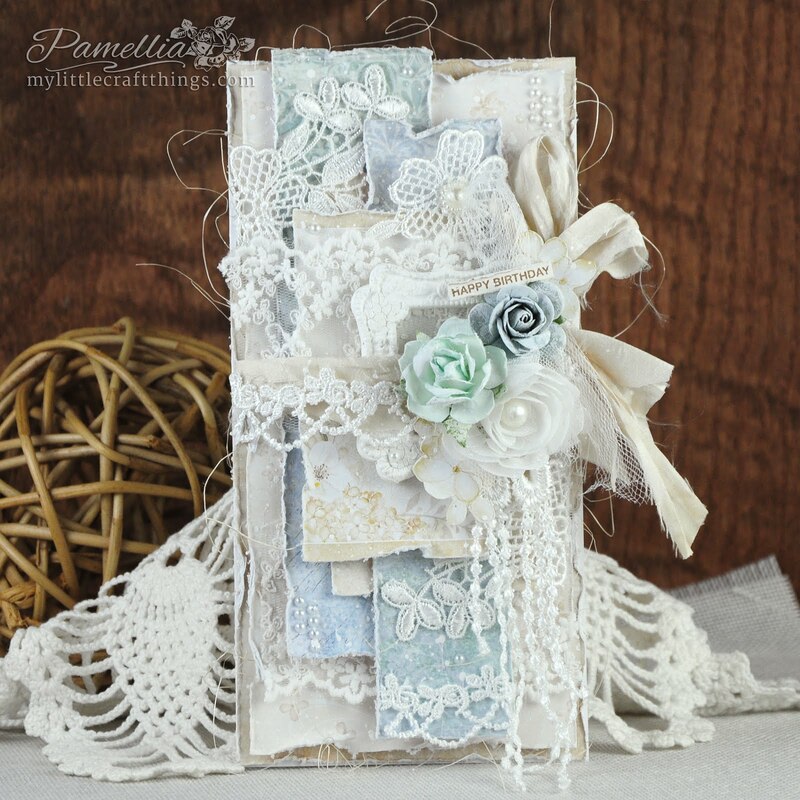 Oh wow, Pamellia, this is absolutely stunning!! The papers are so gorgeous and you've showcased them perfectly!! I love the vintage image of the sweet girls!! The trees and layers are amazing!! Is that sisal layered under the image? I hope so because I just purchased a bag of it and I love how it looks on your card!! The snowflakes are a perfect touch!! Love, love this my friend!! It's so gorgeous!! 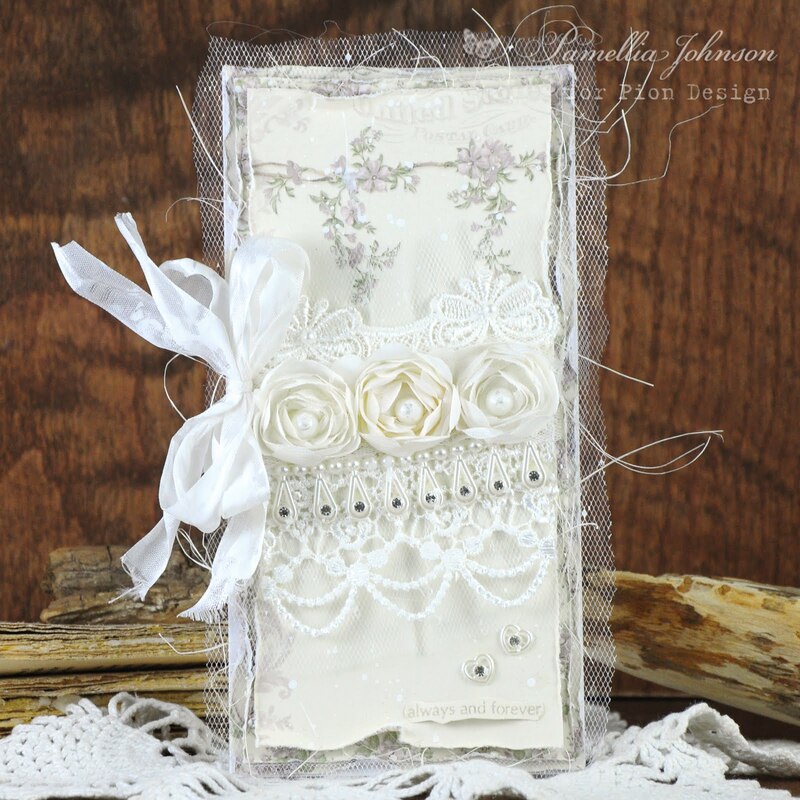 These papers are gorgeous and you have showcased them beautifully in your stunning card. 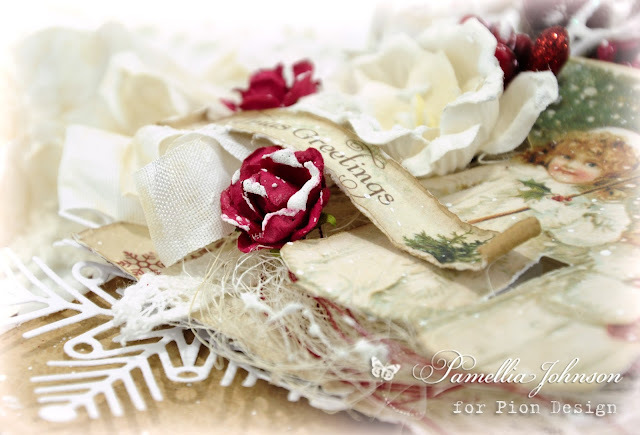 A real stunner Pamellia, those papers are fantastic and I just love the adorable little image. Very vintage looking and very beautiful! Stunning Christmas creation Pamellia! 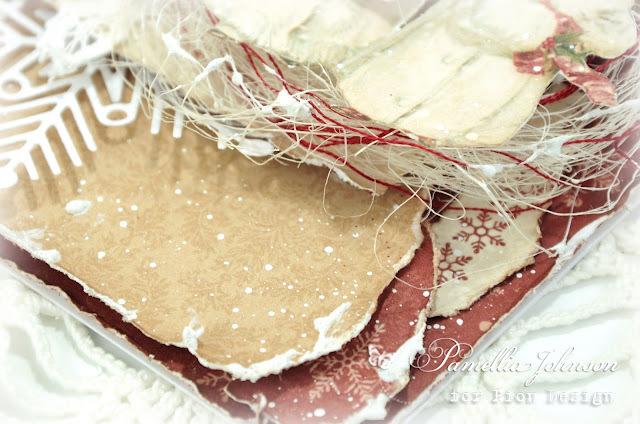 those papers are gorgeous, love the layers and beautiful embellishments used. Fabulous photos yet again, think you found a perfect place to get your amazing shots. Oh my goodness, what a beautiful Christmas card! The collection is beautiful and again, love all the fabulous layers and textures! No one does it quit like you! Your style is so elegant and every piece stunning! I am needing a little mojo these days...maybe next week after these little grandbabies get back to their routines and back to daycare! This Nanny is pooped~I am enjoying every minute but man, they keep me on my toes! 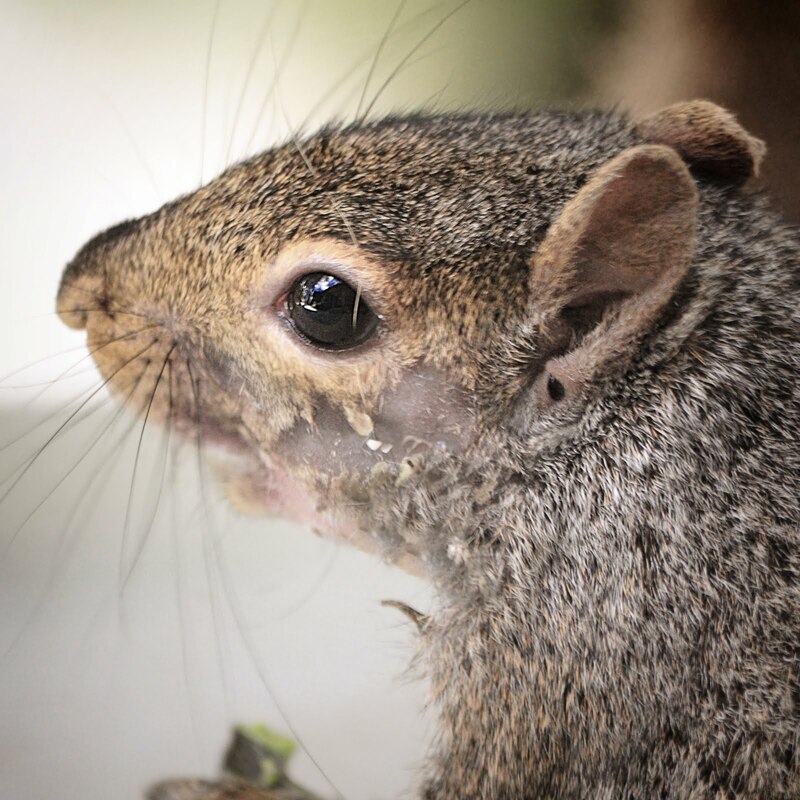 I love all the pictures~in fact, my oldest Granddaughter Arya (4 1/2) loves to see your squirrel pics! 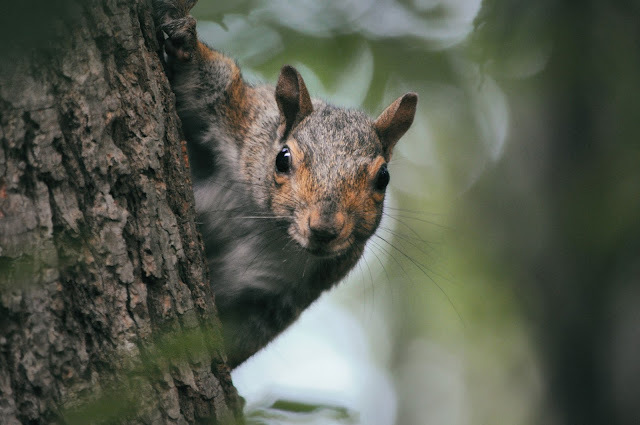 She loves to feed them here to but her Papa told her no more because they are getting into our boat and making a mess~they keep nesting in it~we feed them anyway, lol! He'll never know...haha! 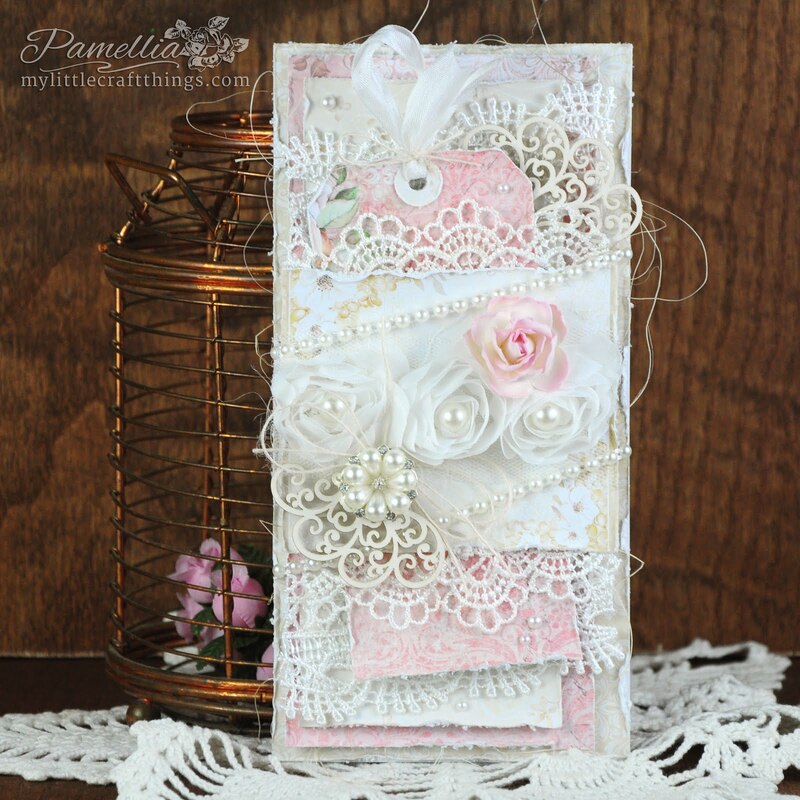 Stunning card Pamellia and I'm loving how your little squirrel family is growing bigger by the day! 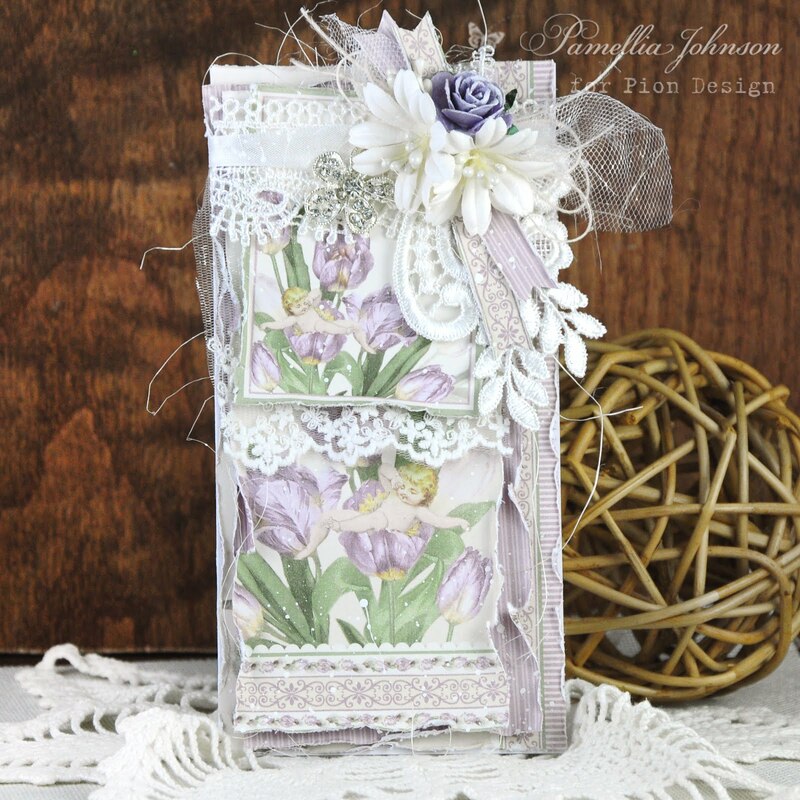 AMAZING card, I love how you incorporate the image into the card and enhance with all the details, They are absolute treasures. 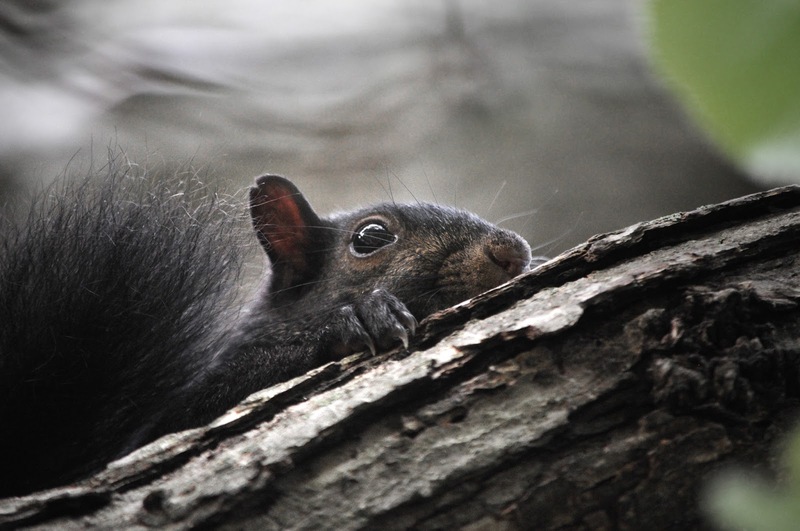 LOVE your squirrel photos, and admire your patience in getting these fabulous photos. Oh, Boy, Pamellia! This Christmas card melts my heart! Those two sweet girls out for a stroll through a Christmas tree farm brings back memories of searching for the perfect tree at a farm in the North Carolina mountains one year. Your layers are delightful--I love seeing those trees and snowflakes peeking out and the snow drifting so delicately. Lovely! Well, sign you up for National Geographic! Your first step finding the perfect location was super productive and I had a giggle at your rearranging the woodsy landscape. 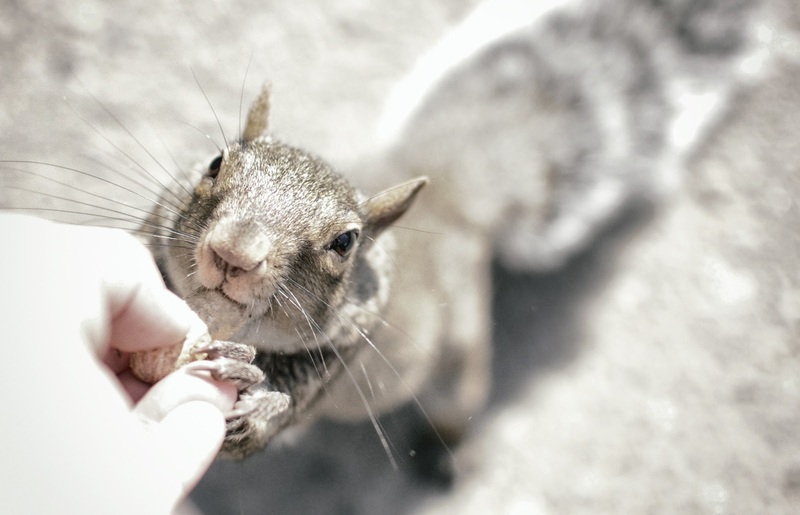 Great shots of the furry sweeties, especially those that came to eat from your hands--gotta love Karen--so sweet! Big hugs to you--you've made my day! 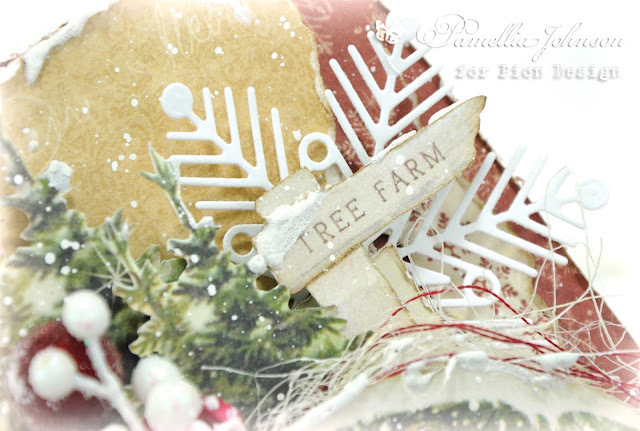 A fabulously festive card Pamellia. The traditional colourway and vintage image are wonderful. Your layering and snowy effects look amazing. This is why I love Christmas so much, beautiful and innocent images! If only the entire world of people would just sit down and make a nice Christmas card (or just a card). Beautiful and angelic design full of my favorite reds and white. Those dies and delicious and those papers are scrumptiously awesome sauce! 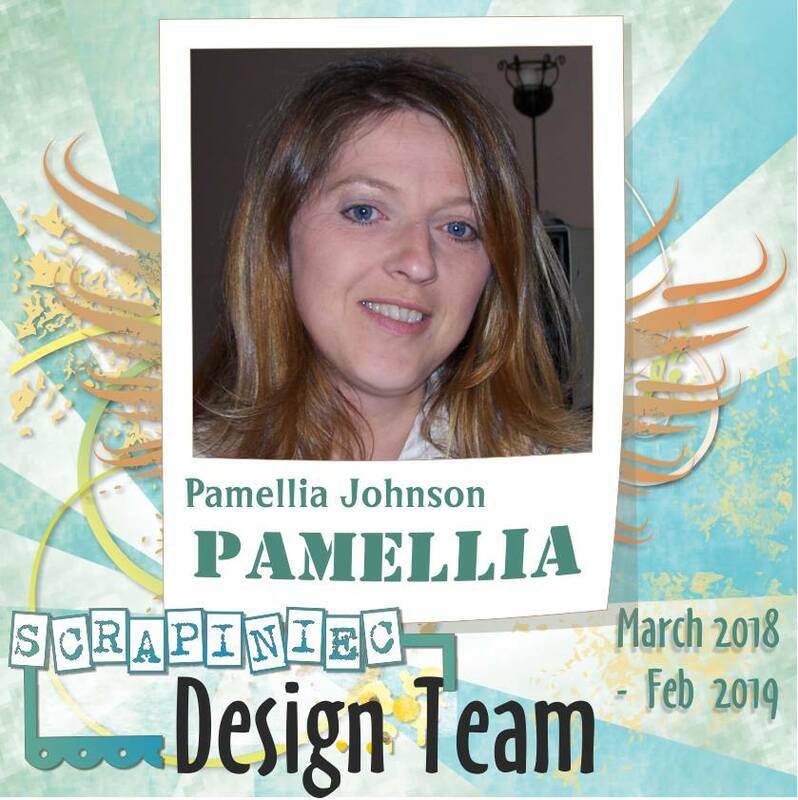 Pamellia, I do believe PION designs is the luckiest ever to have you designing for them!!! Another outstanding beauty!! Oh how I love what you are up to!! I love these photos and look forward to more adventures from you and your lil friends!! I missed this one some how, but it is as stunning as all your work is..love your design and layers, just wonderful..and all your photos of your little friends..wish I lived in an area like that.. I am so sorry for being so behind on commenting on your gorgeous cards, life is getting in the way alot lately! OK, this is one of the most beautiful Christmas cards!!! The Tree Farm sign is to die for!!! I know I said this so many times, but this is really one of the most beautiful Christmas cards I've ever seen! Your attention to details is fantastic! Pion is so lucky to have you as a designer and no one can use their papers in such a brilliant way like you do! You are such an inspiration for all of us, my friend! I agree with Sara, you should sign up for National Geographic! I adore your shots with zoom lens! You are a PRO! You have captured a lovely nostalgic festive feel with your super card. I'm not great using images on cards but yours nestle beautifully amongst your layers. 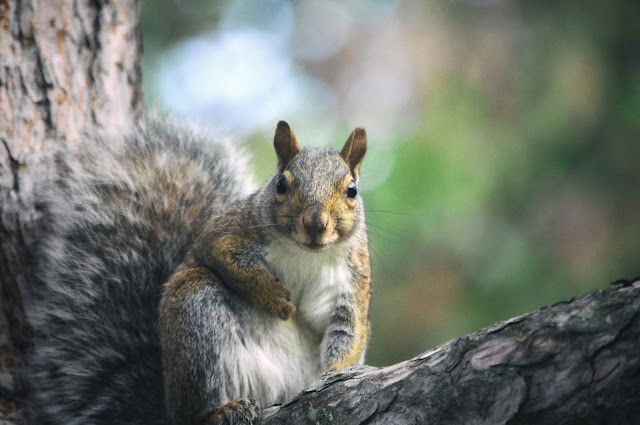 Great squirrel snaps too. They are so cute. DARLING and DELIGHTFULLY DELICATE Card. So SWEET and STUNNING. Those ARE gorgeous papers. And my my my - you have such a lovely hideaway for your amazing photos. What a wonderful undertaking. And you are off to an incredible start with these new beauties - and they are just so pretty - some of your little friends. VERY VERY special. j. 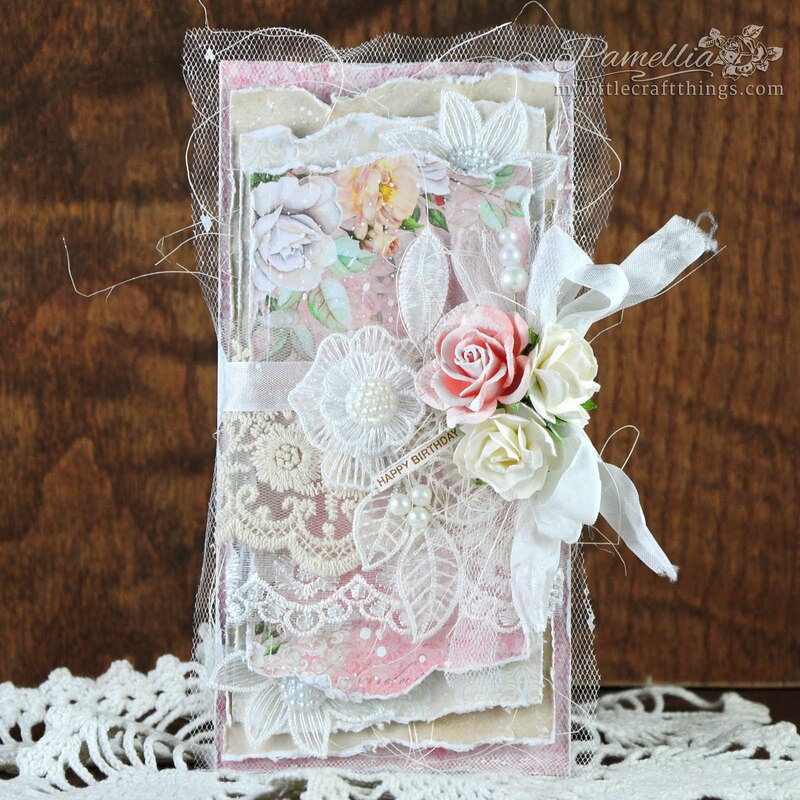 A glorious card - breathtaking layers and dimension and textures. 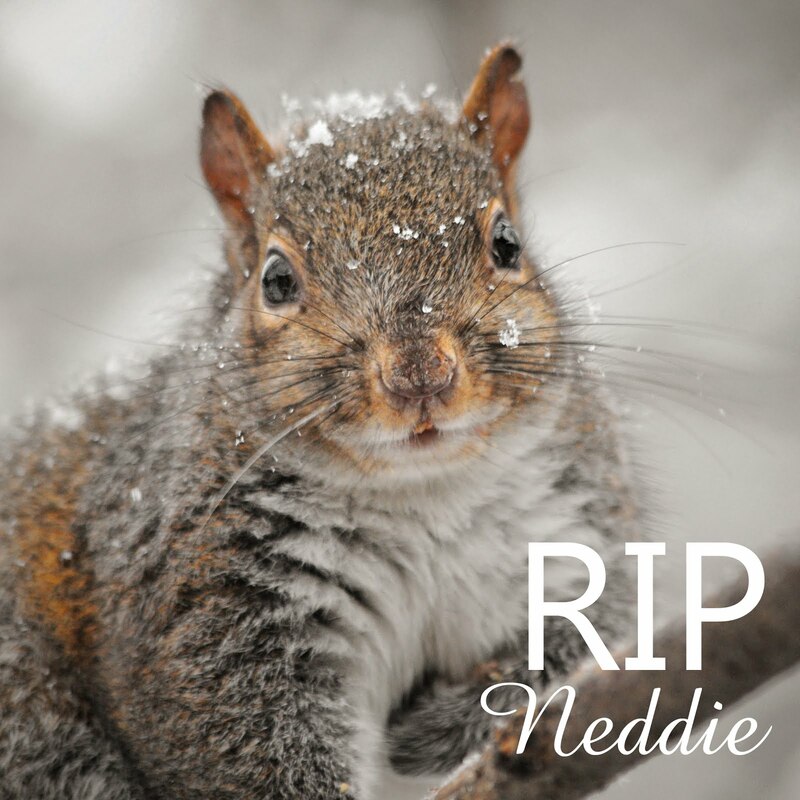 Always a delight to find time to visit here... and again with the squirrels! What a beautiful card. That paper collection is so wonderful. 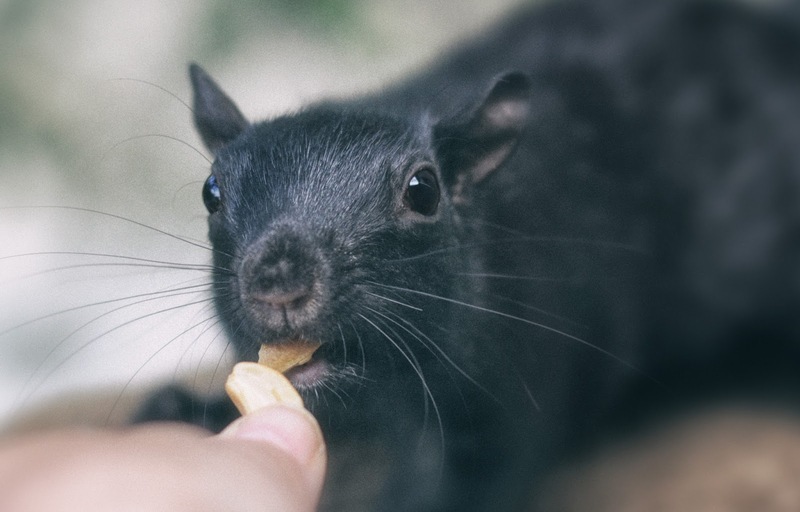 Love the pictures of the little squirrels. 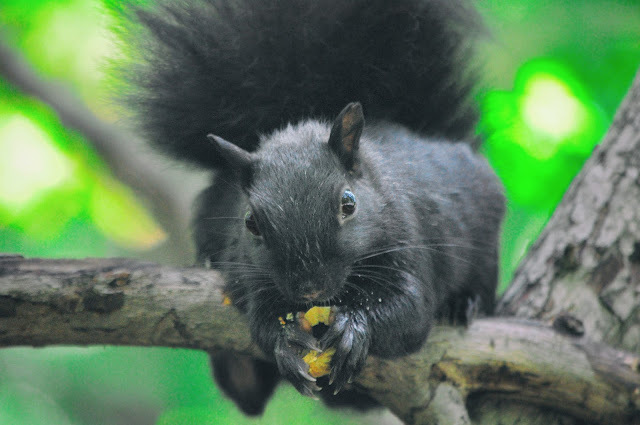 I've never seen a black squirrel. 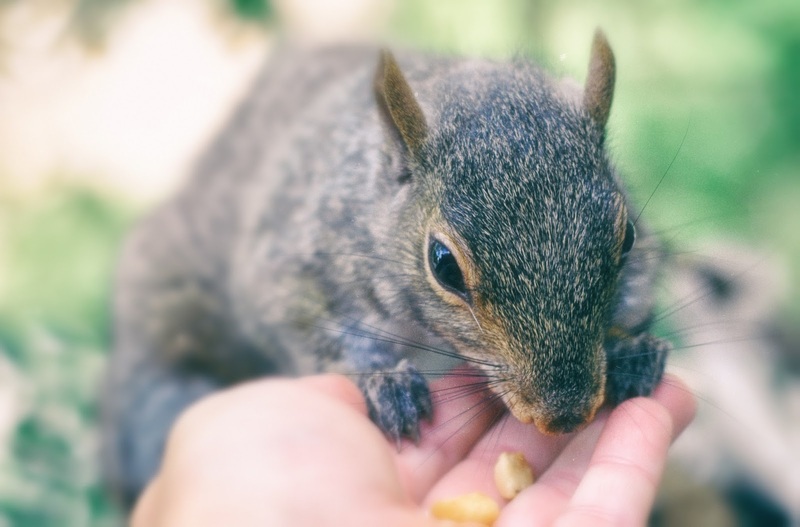 I had a little squirrel friend named Scrappy. He was so smart and he loved to play little games.